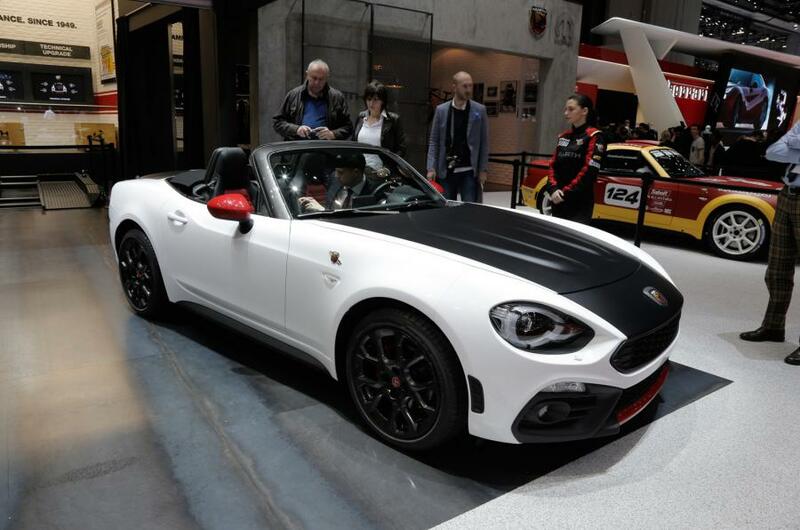 The Italian automaker Fiat has unveiled the performance version of its popular 124 spider at the ongoing 2016 Geneva Motor Show. It comes with new dual tone paint arrangement along with a bunch of color option such as Blue, Grey, White, Black and Red. 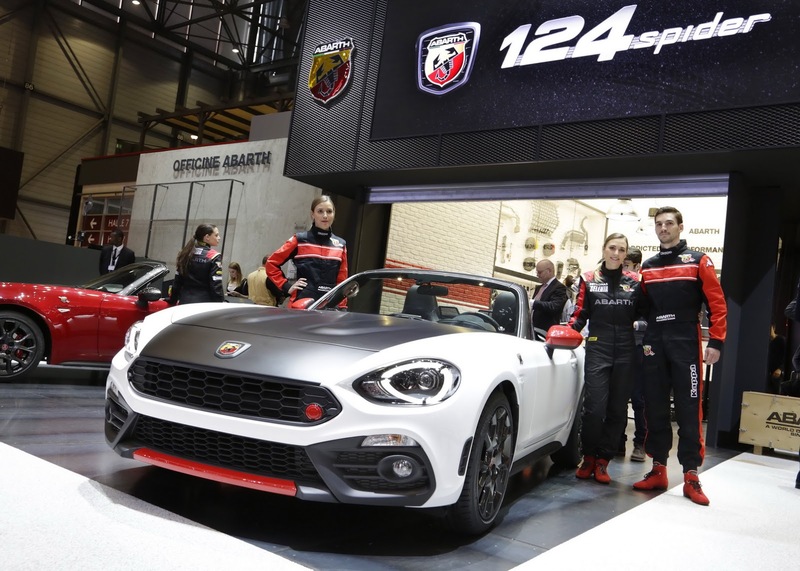 With all the new features and attachment, the new Abarth 124 Spider is going to be available in September this year. 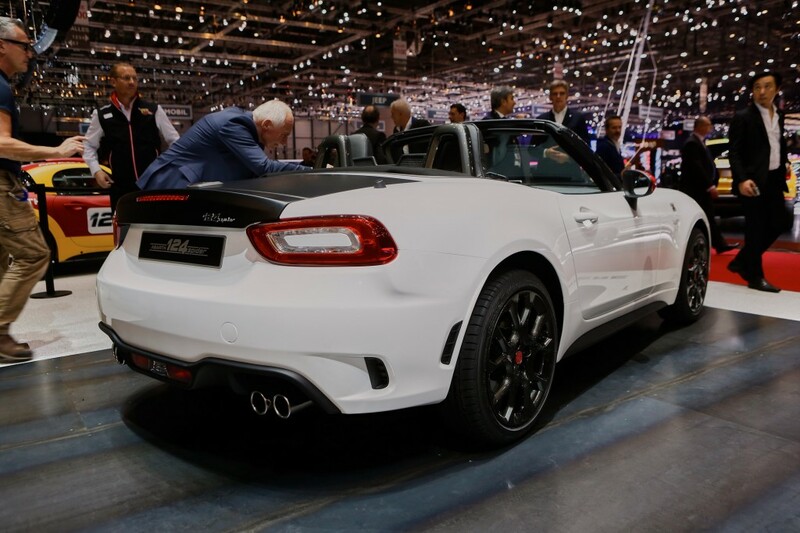 It will go on sale with a starting price of 40,000 Euros for Europe, Fiat Said. In order to give it more bold and sportier looks, some changes have been made on the exterior in the form of a new larger air intake and rear spoiler, restyled front bumper, 17-inch alloy wheels, rear bumper and air vents. Inside the cabin, you can see some standard features like manual climate control system, electrically-adjust door mirrors, stereo with four speakers, MP3 player with USB and cruise control system. You can also find great upholstery, aluminium pedals and a new dashboard at the interior. Furthermore, the Fiat has offered some optional features such as infotainment system that is equipped with a 7-inch color display, two USB ports, AUX input, Bluetooth connectivity, satellite navigation, digital tuner and a reversing camera. In terms of safety; ABS, EBD, ERM, ESC, 3-point seat belt with constant force spring have also been considered. Powered by the same 1.4-litre turbocharged Fiat 500 Abarth gasoline engine, the 2-door car is tuned to generate 170 Bhp of power and 250 Nm of torque. The motor is fitted with a 6-speed manual gearbox or the Sequenziale Sportivo automatic transmission that is good to send power at rear wheels. The Fiat claims that it can do 0-100 km/h under 6.8 seconds and can reach to a top speed of 230 kph. Well, you can also choose the sport mode to get maximum power output.